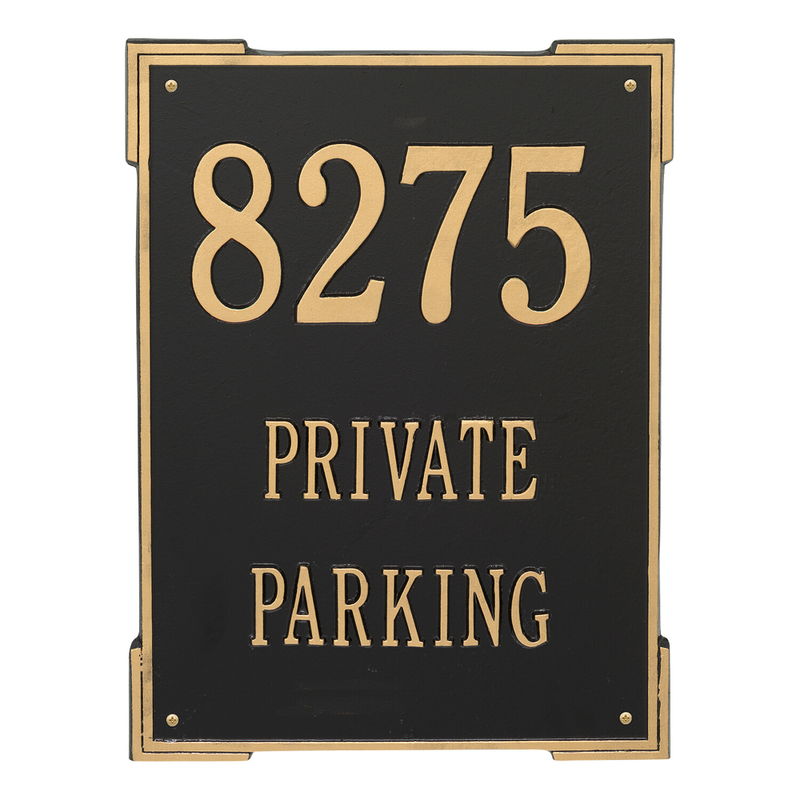 This Double Corner Vertical Plaque can be configured to mark almost anything including an address, apartment numbers or even a statement. Each line is custom and you can change to your specifications. Easy to install. Available in multiple colors. 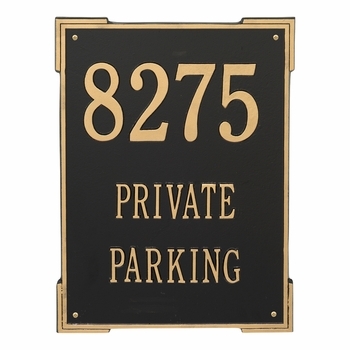 This plaque is made from rust-free cast aluminum providing excellent quality and durability. Every plaque is hand crafted by skilled craftsmen in the USA. 14" x 18.75" x .375"